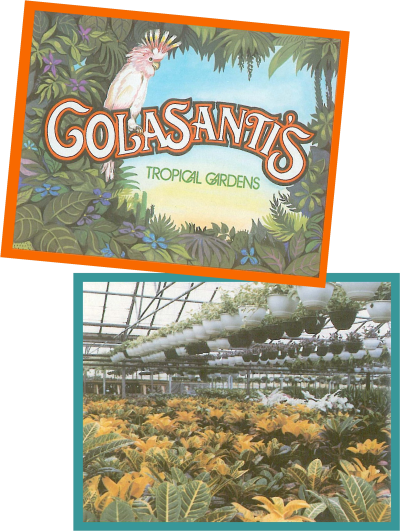 Colasanti’s started in 1942, producing vegetables and greenhouse crops. Their retail business consisted of a small fruit stand. In 1955 Colasanti’s started to expand. Their greenhouses began to grow and Colasanti’s started to produce new crops: lemon and orange trees. 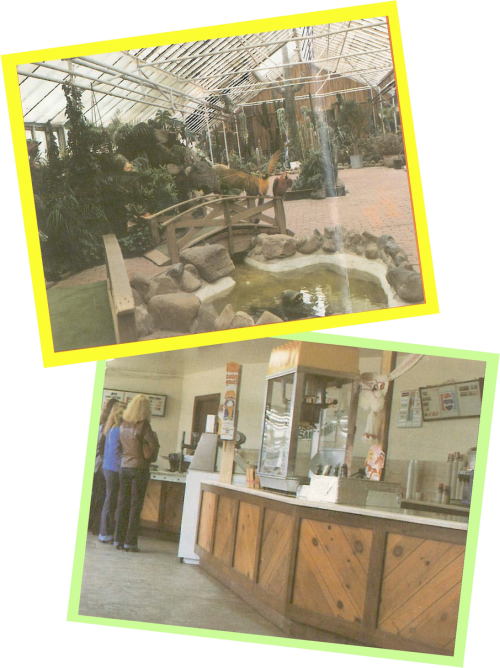 In 1972 Colasanti’s started to specialize in cactus and tropical plants. Today Colasanti’s is situated on 35 acres, 3.5 acres which is indoors, in Ruthven Ontario Canada. This tropical wonderland is surrounded by the towns of Kingsville and Leamington. There are 15 temperature controlled greenhouses to provide year-round comfort (please keep in mind that “temperature controlled greenhouses does not mean air-conditioned). Grandpa Colasanti as thousands knew him was born Aleutario Colasanti October 15, 1902 in Cebrano, Italy to mother Angela, and Father Guiseppe. 6th born of 7 children. He lived there for 22 years, the very poor living drove him to explore opportunities he had heard of from relatives in Detroit, Michigan. However, immigration to the U.S.A had been curtailed and he was told that Windsor, Ontario was close and had expanding opportunities as well. In 1924 he recruited enough bond money as was required by the Canadian Federal Government and boarded a ship that would sail for 23 days to dock in Halifax, Nova Scotia. Held up for several weeks in a rat infested abandoned hospital, and without healthy food, he and a handful of new friends immigrated to the Town of Kingsville, an area that was significantly English Canadians, whose only exposure to Italians, was from news of gangsters that included Chicago’s Al Capone. In 1927, together with friend Armand Mastronardi, they saved $75.00 to buy a Model T. This gave the two men the ability to socialize. Alex could now travel to Detroit to visit his brother and cousin. Struggles to overcome immigrant racism and financial hardships only fueled his desire to work harder to succeed. Although not settled nor established, Alex would routinely send money back to his mother in Cebrano. In 1930, he returned to Italy, conditions had not changed, 3 months later he returned to his new homeland. Still single, the 29 year old pioneer rented a house with his brothers, and sharecropped for a while. Finding female companionship for an immigrant sharecropper in the English community was not likely. On one trip to Detroit, he met Emma Colagiavanni. Against her families wishes she left home and they eloped on March 29, 1932. Emma’s mother was enraged and threatened to kill Alex, but as he put it, she calmed down in time. She adapted well to the country, and was soon planting tomatoes with her pioneer husband. 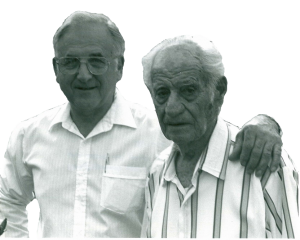 They worked very hard together, and although busy with starting a family, Joe born in 1933, Ron born in 1935, and Alex Jr. (Sonny) in 1940, they still managed to save enough money to put a down payment on a small farm in 1941. The man that sold him the farm told the neighbours that Alex would lose the farm back to him. 2 years later, however Alex managed to pay off the mortgage to what is now Colasanti Farms. After the second world war and into the mid 40’s Emma and Alex became very active in sponsoring other Italian immigrants. Alex would find jobs and housing for the 200 to 300 immigrants that they had sponsored, hoping that they would get started easier than he had. In 1945 Alex had built his 1st greenhouse, and would soon be growing crops into the winter. He did so well farming that season, that he purchased an additional 13 acres of land and built a second greenhouse. In 1948 a baby girl was born to the elated Alex and Emma, it made Sonny even happier as it took a lot of burden off of him. Alex’s life was filled with trial and triumph, he always worked and organized people so that they would benefit together, in the initiations of such institutions, as the Roma Club, and the Sun Parlor CO-OP. The hard work of Emma & Alex and their generosity gained them many friendships within the area. One cold December day in the late 40’s there was a mishap, and the boiler room went up in flames. Neighbours and friends helped save the crop and rebuild the boiler room in 2 days. For friends and relatives, summer Sundays were always spent at the farm, Bocce Ball was a tradition. Game losers would pay Emma for the beer, and that would help pay the mortgage. Father Fred Doll was a special friend to Alex. He married all of his children, baptized most of his grand children and some of his great grand children as well. Rabbit hunting was another gathering of friends, he always enjoyed when friends would go out through the snow and to track and hunt, Pete Colasanti still carries a hunting souvenir that was from Alex. What friend can not remember eating at Alex and Emma’s on one occasion or another, for routine Sunday pasta & meatballs, or the annual snail feast, or eating a fresh fig, or grapefruit, from the original hobby green house. Grandpa Alex always had his hands in the soil, he gardened in the greenhouse in the early spring, and outside all summer, and if he wasn’t busy in the garden or the fruit market, he would weave a basket or two. In 1975 Alex’s wife Emma suddenly died. Life would change for Alex, but he never let a day go by that he didn’t contribute to the benefit of others. He became more and more active in his later years weaving baskets, and luring unsuspecting ladies close to him, so that he could show them his craft. He would often be heard asking them if they were here alone or with their husband. He left quite an impression on many ladies, his loving and friendly gestures had a way of touching more than just their hearts and souls. There was no one more important in Alex’s life than his family, especially his grand children and their spouses, and all the great grand children that he adored. He always was sure to punctuate that there existence was initiated by him, he was responsible for all the children. There was never a time that his eyes didn’t light up in the presence of the kids right up until the very last days. He died at 10:30 pm, November 6, 1998 in his hospital room that was filled by his sons, daughter, spouses and his grandchildren around his side. He left this world knowing he had done well. He has instilled a work ethic into his children that has become a big part of their success’s. His memory lives on as an inspiration to his family and friends. We all give him thanks for these gifts that he has left all of us.